Ariel Wheelis WINS Surprise Talent Show! Ariel Wheelis, age 11 is the new Youth Division Winner of the Surprise Talent Show! 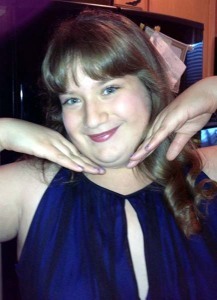 Ariel is the daughter of Ken and Kelly Wheelis and has been a vocal student of Tim Juillet for almost years. She performed Panis Angelicus by Cesar Franck and stunned the crowd with her ability to sing a lovely classical piece in Italian at such a young age. Ariel is a 6th grader at Countryside Elementary and likes singing classical music “because you learn new languages.” Ariel also likes shopping, drawing and helping other people. Musical Surprise had a large turn-out of performers who auditioned for the Surprise Talent show on October 9th. The show is held every fall at the Valley Vista Performing Arts Center in Surprise. Students selected for the talent show included: Frank Diekman, Regina Wisniewski, Sophia Myers, Ira Gedan, Jesse Blandino, Katelyn Martin, Lily Hall, Beatrice Nimijan, Delaney Green, Caitlin LaForest, Austin Smith, Desirae Sotelo, Jennifer Vitela and Kylen Barnett. Teacher Tim Juillet also sang a duet with his daughter Lizzy. Come check out our AWESOME deals on Black Friday & Saturday!! Buy any guitar worth more than $200 and get a FREE gig bag! Sign up a NEW student and get FREE registration- $25 value! 10% OFF your purchase in our retail store! Watch for YOUR Black Friday email to get the coupons! 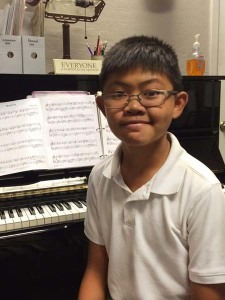 Michael Romero is a piano student of Robyn Harris and has been taking lessons at Musical Surprise for 5 years. Michael is very involved in the studio and has participated in many activities including Formal Recitals, Keyboard Klub, Composition Curriculum, Rhythm Cup Challenge, Practice Challenges, Duet Festival, 20-Piece Challenge, and has performed at several retirement homes and assisted living facilities. Michael is a 7th grader at Paradise Education Center and also plays guitar. (or added a new lesson) in September-October! Anya A., Derek A., Eden ., Deklan A., Luis A., Abigail A., Odry A., Wyatt A., Hannah B., Daniel B., Jackson B., Jordan B., Elijah B., Constance B., Sharron B., Josh B., Sarah B., Gail C., Nathaniel C., Kauai C., Jade C., Fahid D., Hannah D., Chloe E., Harold E., Michael E., Megan E., Rafael E., Liliya F., Joshua G., Kathleen G., Stella G., Candace H., Julia H., Kevin H., Gracie H., Anthony H., Matthew H., Damien H., George J., Kristi J., Kaydence L., Jenna L., Jenna L., Braedyn M., Shelby M., Conniq M., Skyler M., Everett M., Alexandria M., Veronica M., Ivan M., Karlee N., Kenrick O., Kiki P., Emma P., Phil P., Amy P., Hunter P., Reese P., Justin P., Ryan R., David R., McKenna R., Beebe S., Muriel S., Alina S., George S., Shelby S., Jade S., Malee S., Parker T., Julie V., Cheryl V., Kendall W.
Are YOU ready to get started? Click HERE! Get out your calendars & tell your friends! One of our amazing studio families, the Carbonneau’s, are holding their 2nd annual book drive. Donate a gently used children’s book and help them make a difference for a valley family. It’s always more fun to play with others, come join us for a Christmas Jam Session, all students and teachers welcome! Enjoy Thanksgiving with your family and we’ll see you in December. Don’t worry, we’ve made sure that everyone received 48 lessons this year, so there’s no need for makeups! Happy Thanksgiving! Don’t miss the amazing deals in our store the Friday & Saturday after Thanksgiving! We need performers! Call Ms. Robyn if you’d like to do a few Christmas songs! Spreading some holiday cheer at Parkwood Assisted Living. Spread a little Christmas Cheer and support keeping MUSIC in our school district through Christmas Caroling! Sign-up at the front desk after Dec 1st! Enjoy the holidays with your family and we’ll see you next year! Don’t worry, we’ve made sure that everyone received 48 lessons this year, so there’s no need for makeups! Happy Holidays! Want to know what’s going on? Follow us on FACEBOOK by clicking here! Lisa Cannon is a violin and viola teacher at Musical Surprise, joining the studio in April of 2014. She has performed with the Scottsdale Symphony Orchestra, ProMusicaAZ, the Sun Cities Chamber Orchestra and has volunteered as a summer coach for the West Valley Youth Orchestra Chamber Music Camp. She currently runs an after-school program for aspiring violinists in the Morristown School District. Lisa is currently first chair for the ProMusicaAZ Chorale & Orchestra and will be performing the Messiah concert on December 13th at Christ Lord Lutheran Church in Carefree. She is also involved in “Go Fund Me” where she gifts talented kids with their own violins. 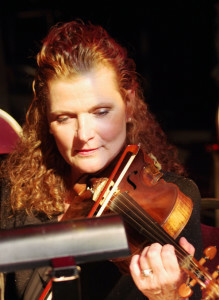 Lisa Cannon, violin– Tues: Thurs: SOLD OUT, Fri:1 spot @5:00. But don’t worry, we’ve made sure to provide 48 lessons for each day of the week this year, so there’s no need for makeups! Enjoy the holidays with your families! Do you have an idea for our studio? Feedback? Let us know at barkback.com! 5 Stars – Very nice place, I have recently obtained a guitar that has been in the family since the 60’s. It has been used and shows it! But I wanted to get it back into a condition that we can display and pick it up time to time to mess around with it. I am really happy with the results, they cleaned it and re-strung it. It is now displayed in our up-stair loft with pride, it sounds great, and hopefully it will be with the family many more years to come.